The passing of October means the holiday season is among us! 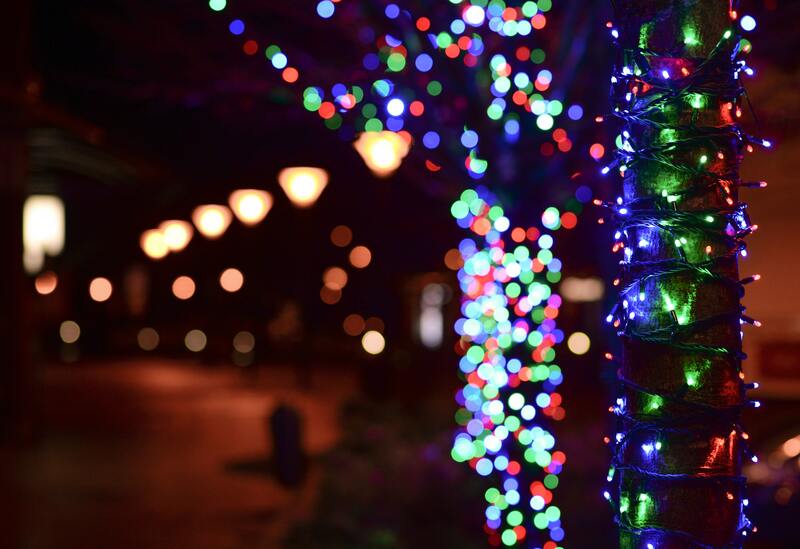 From tree lightings to a harvest hoedown, here's a list of things to do near Hocking College this November that'll get you in the holiday spirit. Students, alumni, faculty & staff, and the community are invited to attend an Open House at the Visual Arts Center. The Open House will take place on November 9 and an alumni show will take place in the Art Gallery on the second floor of John Light Hall. Drinks, food, and music will also be provided during the open house. Looking to bring a special (and tasty!) addition to your holiday dinner? Susie Krutsch, Hocking College's Culinary Program Manager, is partnering with Community Food Initiatives to teach a class on how to make potato rolls and sweet potato biscuits. The cost to attend is $5 per person. This family-friendly event will include a family dance featuring live music, a corn hole tournament, face painting, a cow plop and more! There will also be local food and drinks available for purchase. All proceeds raised will benefit the Athens County Child Advocacy Center, a nonprofit organization providing services to children who are survivors of sexual abuse. Head to the Stuart’s Opera House Grand Lobby and check out vendors selling LP’s, 45s, 7 inches, CDs, and more. Dig through some crates and look for that record you need to complete your collection, or just leave with a stack of new finds. Admission is free. 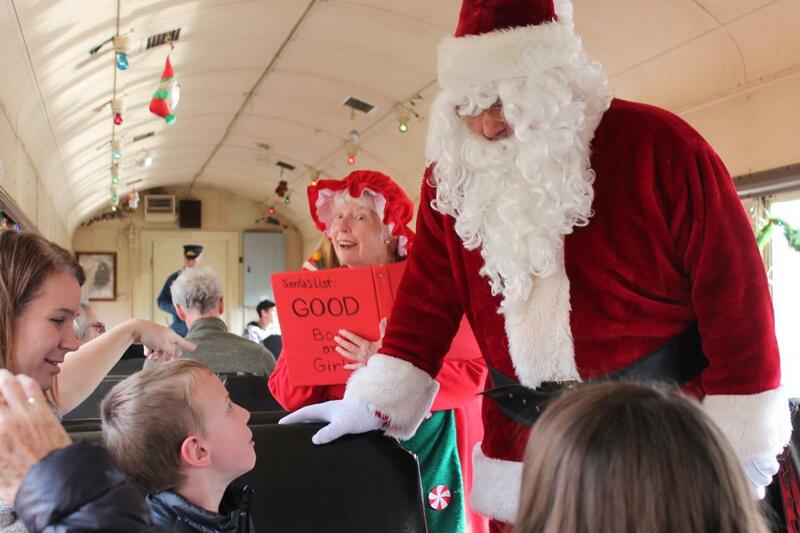 The Santa Train has been a long-standing family tradition for over three decades! These ever-popular trains take place every Saturday and Sunday from Nov. 24 to Dec. 16. Two trains will depart the Nelsonville Depot, making a round-trip to East Logan. During the ride, Santa will board the train and visit with each child as the train traverses the historic Hocking River Valley. Each coach is decorated, heated, and Christmas music will play throughout the train over the audio system. After Santa’s visit, each child will receive a special candy cane treat. Make sure your child or grandchild brings his or her list to share with Santa! The train ride is approximately two hours, and the cost is $18 for adults, $14 for children between the ages of 3 & 12, and $16 for seniors. The 7th Annual Benefest is a 3-night musical showcase and fundraiser for Stuart’s Opera House After School Music Program and The Gathering Place. Each year students from Hocking College's Music Management program collaborate with area businesses and non-profits to coordinate over a dozen acts to perform at Athens two most beloved music venues, Casa Cantina and The Union. Celebrate the beginning of the holidays with a holiday parade that'll start at the Fairfield County Fairgrounds and continues through Downtown Lancaster. The theme for the 2018 parade will be A Homespun Holiday. Enjoy a variety of Christmas sights including a Christmas tree, numerous holiday figures like Rudolph the Red-Nosed Reindeer, Shrek, nativity scenes, and more as your drive through the fairgrounds. This festival is strictly drive-through, but there will be a place on the grounds where visitors can stop for hot chocolate and refreshments, as well as listen to Christmas carols. Cost is $5 per car and $10 per passenger van/shuttle bus. Come browse 80+ handmade vendors, take a photo with Santa, and support a local cause by purchasing hourly raffles to win big, all while shopping locally this holiday season. Admission into the event is free. Guests will enjoy films, art, and community engagement aimed at addressing the human experience of the active-duty military community, veterans, and their families. The festival presents a curated program of carefully selected features, documentaries, and performance art covering a variety of topics including reintegration into civilian society, challenges navigating the health care system, gender disparity, and struggling with PTSD. Admission into the festival is free. Celebrate the simple and unexpected joys of Christmas with entertainment that will involve, engage, and surprise. 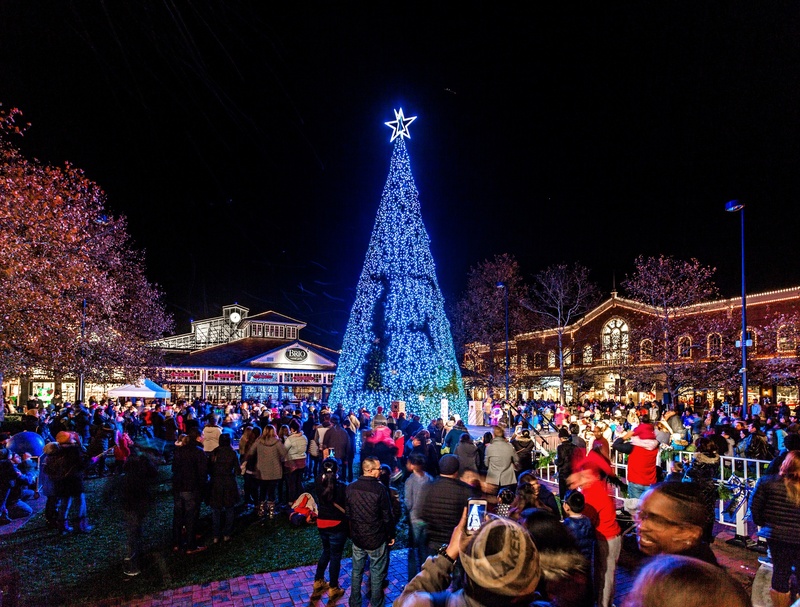 Watch as Santa arrives, along with a special guest, to light Easton’s 56-foot digital Christmas tree and a breathtaking light display. Cap the evening’s festivities with photos with Santa, along with extra surprises along the way. Entertainment begins at 6:30PM with the parade beginning at 7PM. Experience brand new light sculptures, exciting performances, fun and cultural experiences at the Columbus Dragon Lights Festival! This year features 100% new displays and entertainment. Tickets cost $17 for adults, $14 for veterans & seniors, and $12 for kids between the ages of 5 & 16. Kids under 5 are free. 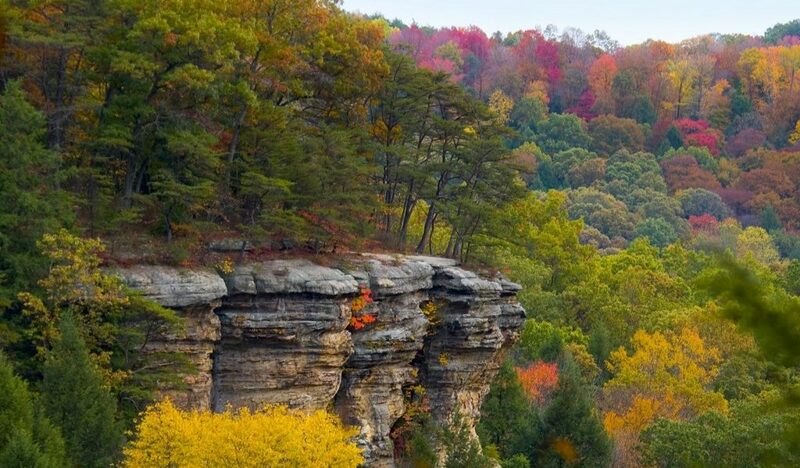 Ever wonder about the difference between a ridgetop and a "holler"? Join the naturalist at Ash Cave parking area to find out. Come celebrate the holiday season with gingerbread house making at The Castle! 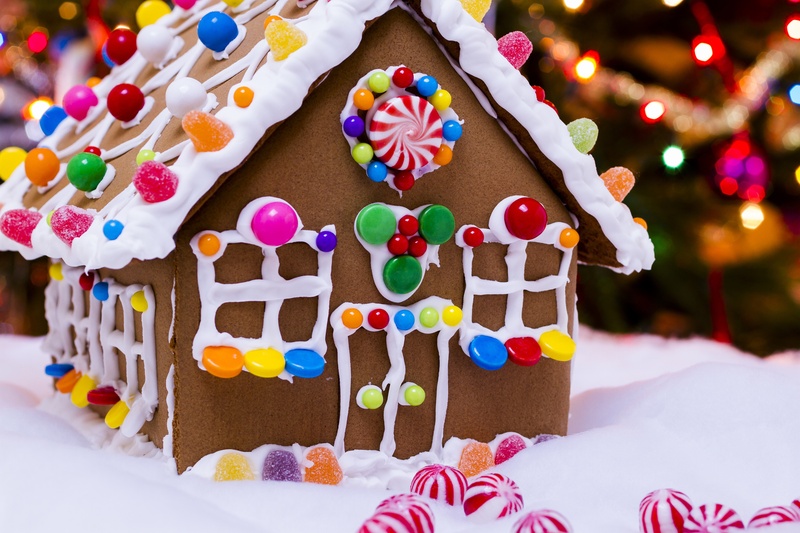 In this workshop, adults and kids (ages 8+) will be aided in making a gingerbread house of their own. Materials and instruction booklets provided for $20.